Once you have logged in, you may get these messages. Simply click on the green button at the bottom. 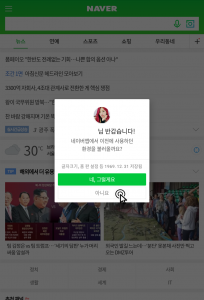 Here, you may also just click 아니요. 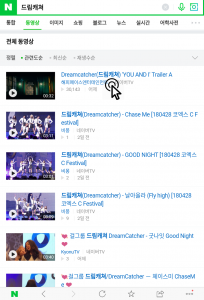 In the search bar, type or copy and paste 드림캐쳐. Once the results of this search have loaded, scroll down until you see something similar to this. 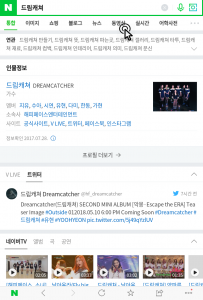 These are all the recent articles about Dreamcatcher. You may, of course, click on any, but try to keep an eye out on the articles that Happyface tweet and visit those to like and comment them. 2. Once you’re on your chosen article, scroll down until you see these emojis. Click on a positive one (lest the situation is one in which we should react negatively.) After that, scroll down a bit more to the comments. 3. 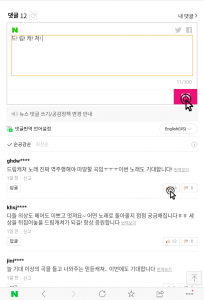 Type your comment in the box as shown below and click on the pink button to post it. 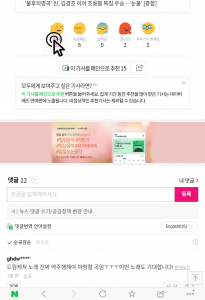 Also, don’t forget to upvote (or downvote, if need be) comments – we will try to translate some positive, good ones from time to time for you to upvote! 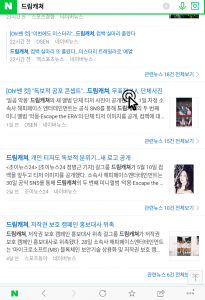 Do the search once again, but this time, at the top of the results page, click on 동영상. 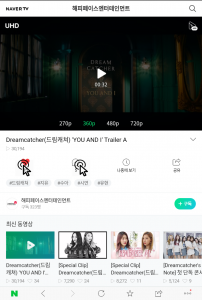 This will take you to Dreamcatcher’s recent videos. 3. Click on the heart to like the video. This is VERY important because we want to get into the top videos! This may get more people to watch it. Likewise, commenting is also of utmost importance so after liking it, click on the button right next to it and you’ll be taken to the comments. 4. Type your comment in the box and then click the green button to post it. 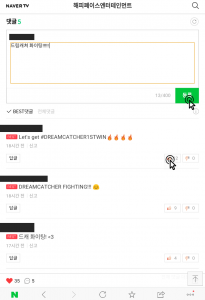 Once again, don’t forget to upvote positive comments.